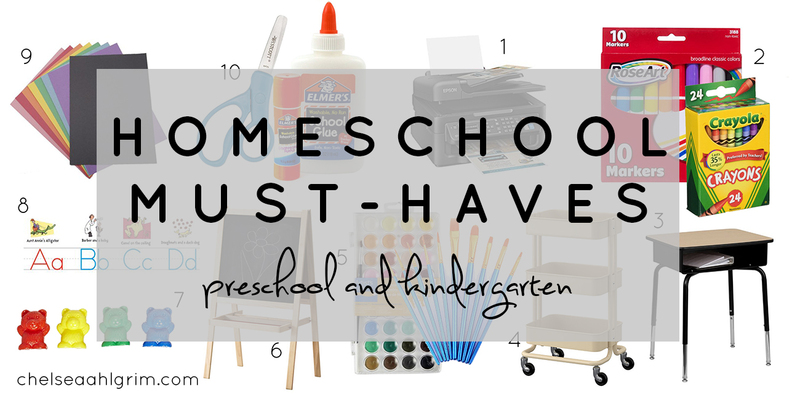 I recently shared our Homeschool Curriculum for Pre-K and Kindergarten and thought it would be fun to share some of the other supplies we just can’t live without for schooling. Lots of moms think it takes lots of money and expensive curriculum to get their little ones started with homeschooling, but as you'll see, we could do most of our lessons with just the ten items listed below! I’ve included links to make it easier for you to track down these items and make them your own! I should mention that I'm not being paid to recommend any of these products, nor are there any included affiliate links. I just know how much I wish someone had given me a list like this when I was planning for my first year of homeschooling, and thought it would be helpful! 1. Printer- We have an Epson Workforce printer that gets a lot of use in our house! We love to find work sheets, coloring sheets, or craft patterns online to print and do at home. Invest in a good printer that will last you several years, because you will use it nearly every day! 2. Markers, Crayons, and Chalk- This one is sort of obvious, but it bears mentioning because you’ll definitely need them! We aren’t picky about our crayons or markers at this point. We just buy the generic brand from Target or Roseart from Amazon. We do a set for each child, because sharing is not a strength of preschoolers, amiright? DON’T FORGET A PENCIL BOX to contain them! You might think, “they come in a box! They’ll be fine!” but no. It’s hard for little hands to get those markers and crayons vertically back in those boxes, so they’ll end up rolling around at their feet! Invest in a couple of cheap pencil boxes like these and save yourself the trouble! 3. Storage- This is big for homeschooling. We happen to have a room dedicated to our homeschool, but I also use it as an office (and I HATE clutter) so the mess still needs to be contained in an organized fashion. We utilize a pair of vintage school desks like these for the kids to keep their workbooks and pencil boxes. We have a separate chest where we keep other supplies that we aren’t using- extra workbooks, math resources, science supplies, paper, extra white boards, etc. We’ll probably need to expand our storage as the kids get older, but for now, this works great for us! 4. Art cart- speaking of storage, we use this handy rolling cart from Ikea to keep all of our art supplies. We often do art projects at the dining room table or even on the porch. This cart makes it easy to take our supplies wherever we need them! 5. Paints and brushes- I come from a family of artists, so we’re serious about our art projects! Most of them involve paint of one kind or another. We keep all kinds of paint on hand- acrylic, watercolor, tempera, etc- and we buy a big bag of brushes of varying sizes and styles that lasts us all year! Again, we’re not too concerned about the quality at this point. Generic brands work just fine for little ones and are super cheap. As they get older and begin to do more intensive art projects and studies, we’ll invest in better quality! But for now, anything that won’t poison them as they shove the brush in their mouth is a winner! 6. Easel with Paper roll- Oh, Ikea. The homeschool mom’s best friend. This little easel is precious and super affordable! I like it because it covers all the bases: chalkboard, white board, and paper roll, plus a little tray for holding writing and drawing utensils. It’s lightweight and easy to move around too! We like to roll the paper over the top and hold in place with clamps for paper art projects! This easel is perfect for us right now because we don't have a large white board on the wall, so it doubles as a teaching tool for me! 7. Counting Bears- You’ve probably seen these or used them yourself. They’ve been around even since I was a child! We got a set that has ten bears for every color. Sometimes we just use them to add and subtract, sometimes we dump them out and have a race to see who can put them in their color cup the fastest, and sometimes we use them as citizens in our block cities. They get pulled out all the time, and are even great for keeping my youngest busy when big sister needs mom’s help on a lesson. 8. Letter line- I hesitated to buy this letter line last year because Vesper already knew all her letters by sight. However, since she started writing them, it has become a very valuable tool! If she gets stuck on remembering how to draw a particular letter, I ask her to locate the letter on the letter line. We use it for letter practice with my youngest as well! 9. Paper, paper, and more paper- Construction paper. Printer paper. Notebooks. Graph paper. Paper rolls. Get all you want and never worry about it going to waste. They’ll use it for EVERYTHING. 10. Scissors and glue- Kids really REALLY like learning to use scissors. There’s something so dangerous about it and they feel so accomplished when they’re able to cut correctly! We just grabbed a pair that looked tiny enough for little hands, but I'd love to try out these scissors as I've heard really great things about them. One of our favorite cutting activities is straw-cutting. I literally just let them cut up a bunch of straws and then we thread yarn through them to make jewelry. Sometimes we roll them around in paint first too for some color. Easy. Cheap. Fun! Glue kind of goes hand-in-hand with the scissors lessons too, and you’ll find that you need a LOT of glue sticks and paste! Now, glue is the one item we don’t buy cheap. The cheap ones dry out before you can use them or don’t stick well and your child’s art projects are pitifully falling apart as they hang on the refrigerator! Invest in Elmer’s and you’ll be just fine! Bonus Tip: For most things, I suggest getting each child his or her own item rather than expecting them to share. Encourage them to take ownership and pride in their supplies and only use them for school purposes. We have a separate set of markers and crayons for use outside of school time, but each child has his/ her own shiny new set at the beginning of the year to use on schoolwork! I hope this was helpful to anyone considering starting out their little ones in homeschooling! I'm happy to answer any questions, just leave them in the comments below! We just started our second year of homeschooling and my goodness, it’s a lot more laid back than our first year! We’ve made some changes to the way that we’re doing school and I’m really excited to see how our year will go. I’m planning to make a video about those changes and about how we’re doing things this year, so stay tuned for that! You can watch last year’s How We Homeschool Video here. If you follow me on Facebook or Instagram, you might’ve seen that we’ve chosen to do pre-printed curriculum this year instead of making our own. 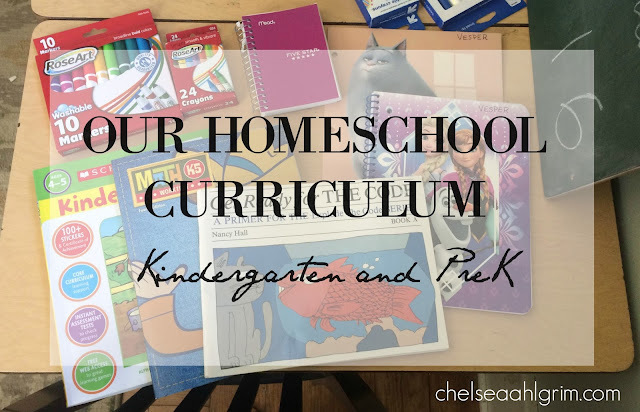 I’ve gotten a lot of questions about what we’re using, so I thought I’d do a quick list of our curriculum for homeschooling pre-K and Kindergarten! Leave any questions you have in the comments section and I’ll be happy to answer them! You can also find links to most of these items on my Pinterest board entitled ‘Homeschool Curriculum- Pre-K and Kindergarten!’ Be sure to follow me for updates on our favorite homeschool must-haves! 1. Explode The Code for Reading- Vesper (4) is already a very good reader, but I was kind of stumped on where to go from here to help her get to the next level. 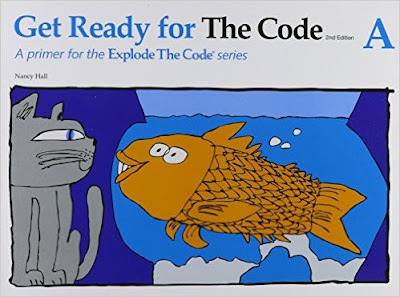 I did a lot of research and combed through homeschool forums on Facebook before deciding that Explode The Code would be a good fit for us. We decided to start with the first book, Get Ready for The Code, even though Ves knows much of the material. It’s been a good way to ease into reading work again. 2. 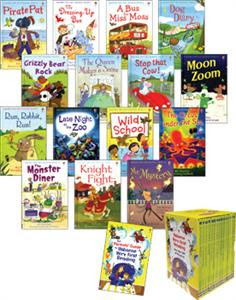 Usborne’s Very First Reading Set- we bought this set last year and made it through twelve of the fifteen books. It’s a really great set that’s designed to have parents read a portion of the story, and the child read the rest. Vesper enjoyed the stories quite a bit and even reads them to her little brother now! 3. BJU Press for Math- Vesper has been showing interest in adding and “take aways,” so I decided it was time for her to explore structured math curriculum. 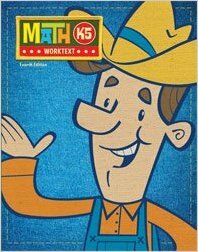 This year we went with BJU's Kindergarten math. This one was a pretty easy decision. I didn’t want anything too terribly involved- she’s only in kindergarten (and a young kindergartener at that!). I saw lots of fancy, expensive math systems, but this one seemed like a logical approach to teaching the material to a small child, and had cute illustrations that would keep her attention. It has turned out to be her favorite subject this year! We opted to purchase only the student work text, and that has worked fine for us. There are a few things where we have to kind of "wing it," but nothing that has disrupted our flow of study! 4. 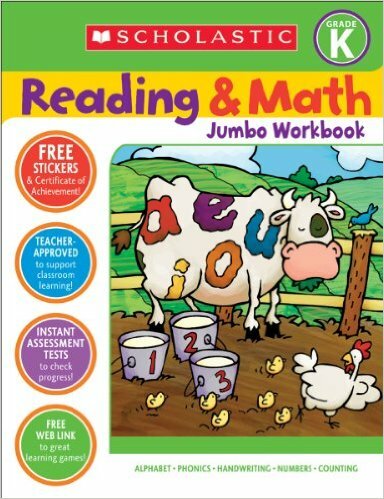 Scholastic Jumbo Activity Book for Supplemental Handwriting and Reading- This is a book we had gotten last year that Vesper really enjoyed. In fact, she liked it so much that she took it to her room and used it as a coloring book, rendering most of the remaining lessons useless. So we bought a fresh, new one this year and made sure to discuss the importance of respecting our school supplies. She loves to trace and write the letters and color the pictures. There are all kinds of lessons “disguised” as activities in this book, so that makes it really easy to sail through the pages! We picked ours up at our local Target! 5. 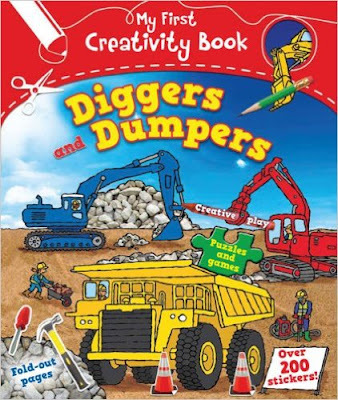 Diggers and Dumpers Creativity Book- my little guy had little to no interest in school last year, unless it involved food or trucks. This year, I found this Truck Activity Book for him to do and he is so into it! He loves to do the activities with me and has already made really great strides in learning to count and drawing lines! I’m so impressed! The stickers are his favorite part. If you have a little man that likes trucks, you should definitely pick one up! We found ours at Mardel, but you can also find them on Amazon. I also threw in a couple of activity books from the Target Dollar Spot for Grey, mostly to keep him entertained and help him feel involved in our schooling. 6. Supplemental: There are a few items we keep around to supplement our learning. One of those is Sight words flash cards. They are awesome to have on hand- especially when momma doesn’t feel like using the usual work text approach! We like to use them to make into games or just flip through and see how many words she remembers! I highly recommend grabbing a set of these off of Amazon or just print your own! Another of our favorite supplemental learning tools are these BrainQuest flip cards. These were around when I was a kid, and we loved to use them on road trips and such (ya know, before DVD players in cars and iPads were invented). They’re just a fun way to entertain your child and still get their brains working. We have the Preschool and Kindergarten sets and both are great! Aside from using the work texts, we add in science projects and crafts for fun. We also do lots of play- blocks, pretend food, going to the playground, etc. All work and no play makes your kid hate learning, right? Or something like that? 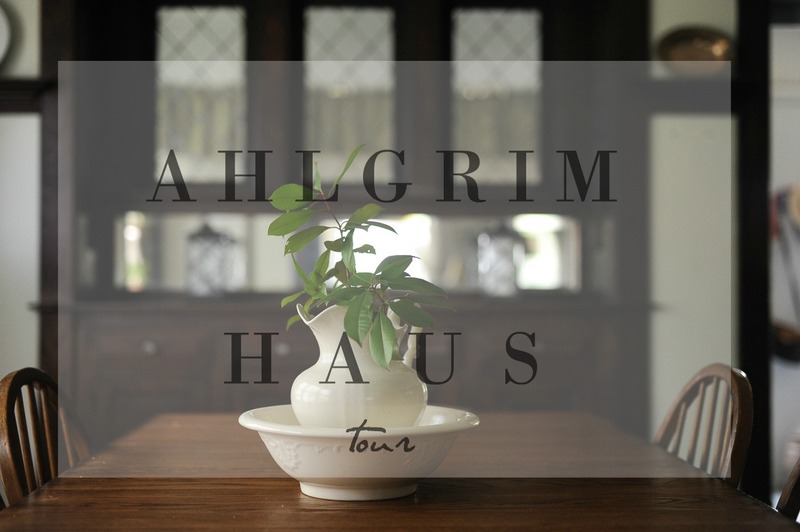 A Tour of Our American Foursquare House- Second Floor! I'm back to share a little more of our century-old home with you! This time, we're headed upstairs. In true foursquare-style, the bedrooms are all upstairs in the four corners of the house. Hence the name foursquare. Our bedroom is light and bright. We went with a traditional iron bed and clean colors to make it a restful environment. I don't like "stuff" everywhere in my bedroom- it just makes it feel cluttered and chaotic, so we try to keep it as minimal as possible! You'd be able to tell immediately which room belongs to our princess-loving four year-old. Yeah, it's the BRIGHT pink one. She loves it, though! I wanted something that didn't feel too baby-ish or themed, so we went with something she could grown with and switch up easily. You might've seen Grey's room in this previous post, but here it is again. It's a really sweet little space for our guy. He is rough and tumble and likes lots of room to run in circles or spread out his millions of trucks. Ya know. Boy stuff. And in case you're wondering, that patch of green with roses in it is the original hand-painted wallpaper. It's been left uncovered through the generations, so we did the same when we went to repaint the space! Cool, right? This room is affectionately called my "dressing room," but let's be real: it's a catch-all. It's got my closet in it, but the room itself seems to fill up and empty out monthly with odds and ends- things to sell, furniture to rearrange, toys that have been taken away from kids, etc. I also use it as a photo studio occasionally, so it's no wonder it never stays clean. But you're in luck, I photographed it on a day when it had just been organized! This bathroom goes down as the coolest bathroom in history. I don't know if that's a thing. I bet only old house nerds like myself care about things like original tilework and claw foot tubs, but trust me when I tell you- it's cool. Well friends, that's the whole shebang. Our favorite place to be together as a family... I hope that when we sell it next year a family finds it that has loved it as much as we do! This year, however, I was determined to attend. Mostly because my kids have outgrown nearly everything except a few dresses for Ves and some t-shirts for Grey. So I was completely ecstatic when JBF asked me to be a part of their Blogger Pre-sale Event! Here's the deal- they basically wanted me to see how far I could stretch $50 at the JBF presale event, and if you know me, you know that I can stretch dollars like nobody's business, so I gladly accepted! When I pulled up, this was the line... I died a little inside, but once they opened the doors, everyone just walked in. No stampede. No rushing the door. No one got trampled. Easy Peasy. And let me tell you, I was not disappointed once I got inside either! It's PACKED with tons and tons of amazing products- clean, great condition, variety of sizes, and SAFE! JBF is currently the only children's and maternity resale franchise in the industry to employ a safety and recall expert, so you don't have to worry about getting that carseat home and then finding out it's unsafe for use! Before going, a friend of mine suggested that I bring a laundry basket with a belt attached to drag it around. I kind of laughed at it, but she assured me I wouldn't look crazy because everyone else would be doing the same thing. She was totally right. You will not have enough arms to hold all the amazing deals! I would estimate that all of this would have cost hundreds at retail value. I mean, I would have spent that much on just shoes and coats for the season! I was so impressed that I'm already planning to come back and shop at the next round of sales! But that's not all, because shopping is not the only way you can save money with JBF- they make consigning super easy AND their consigners get to shop presale! Imagine using last season's clothes to pay for next season's! I'm sold. I had no idea what I was missing all these years! The sale in Tulsa is running through the rest of the week at the Tulsa Trade Center. If I were you, I'd plan to shop the discount days starting on Thursday too! If you'd like more information about where your closest JBF sale is, you can go here! Happy hunting! A Tour of Our American Foursquare House! It's been so nice to take a step back this summer and just really enjoy some lazy days with the kids. 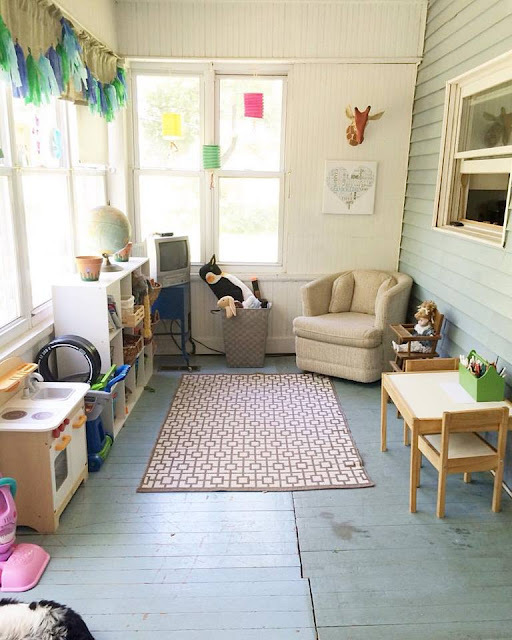 I've gotten a few projects done including organizing several rooms, which has really made things much easier since the crazy school year started. We've made the decision to sell this beautiful home in order to move closer to the people and places we love most. It was a tough decision, but we're trusting in the Lord's sovereignty. More on that later, but I thought it would be fun to do a little tour of the house! I'll show you the first floor in this post, and I'll be back next week to show you our second floor! The one room you won't see on this tour is the School Room. 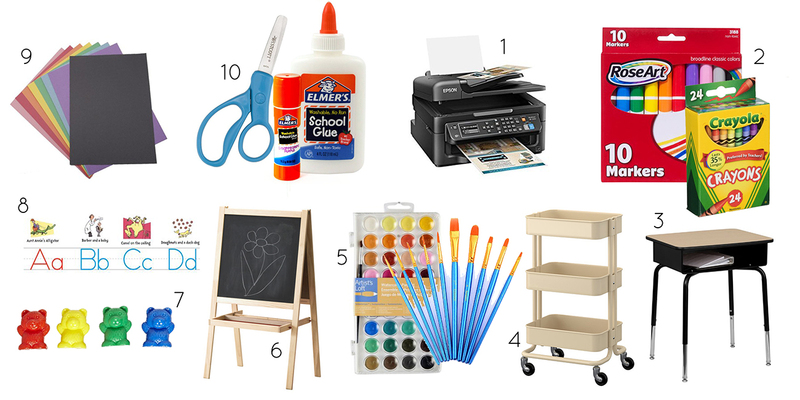 I'm planning to do a separate post about our school room and which items we can't live without! A quick background on our house: it's an American Foursquare that was built in 1911 and has most of the original features including antique glass windows and the original floors. There are also several fireplaces and a pretty impressive collection of antique lighting fixtures. The living and dining rooms are connected, but can be separated by some really cool double-pocket doors. I love the woodwork in the house. All of the trim on the second floor has been painted, but the wood downstairs is mostly still untouched! The kitchen has beautiful light and bead-board walls that lead up to high ceilings. I love the window over the sink and the pretty counter tops underneath the glass-front cabinets. It makes the space feel very light and airy and charming. There's also a window over the stove that opens up into the sunroom. We use part of the sunroom as a play room, so it's perfect for watching the kids while I cook dinner! This was originally the back porch, but at some point it was enclosed to create a beautiful, bright, relaxing space. We use half of it as a play area for the kids, and I don't have a picture of the other half, but it's used as a mudroom and a space for our dogs. There is also a full bath tucked at the bottom of the stairs- and speaking of the stairs... it's my favorite space in the house to photograph. The light just glows all day long through that huge window! It's also where we like to display our favorite family photos and artwork. I hope you enjoyed seeing a bit of our home. Come back next week to see the second floor bedrooms!